The Multiversity is a series of one-shot (standalone) issues by superstar writer Grant Morrison, and the fifth issue is titled, “Thunderworld” and features Captain Marvel. His greatest foe has attacked the Rock of Eternity – the source of the Marvel Family’s power – and it could mean the end of reality as we know it! What impossible villains are Sivana teaming up with who could spell doom for the Multiverse? This is a fun read that isn’t too complicated, unlike the more serious and overly complicated Multiverse one-shots. The perfect weekend read. The all-new Captain America is back in his second issue! 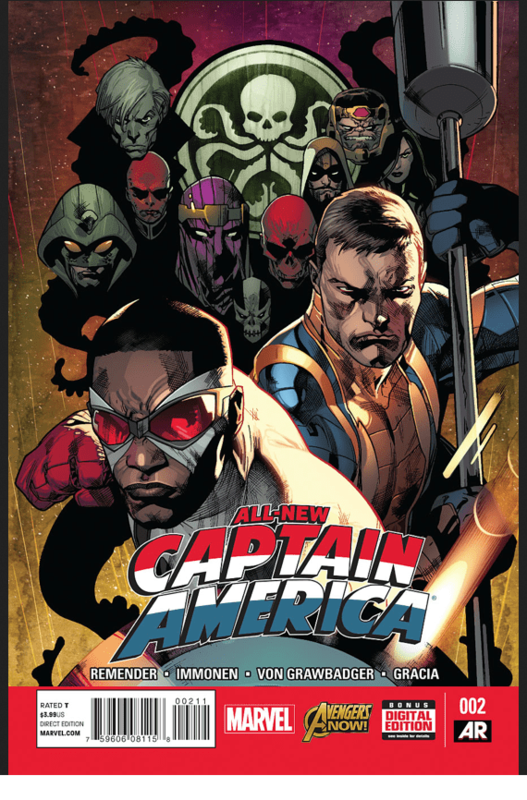 We really enjoyed the first issue – lots of action, good backstory on Sam Wilson’s past and more action. Watching Cap soar through the air with the Falcon’s wings brings his battles to a whole new level. You don’t need to read #1, this is a fine jumping on point, but #1 issues should be readily available at your LCS or just grab it online. It’s Captain America versus Hydra, need we say more? Rumble is probably the most unique pick this week. Literally, a scarecrow traverses 2 worlds, one that closely resembles ours and some other fantastical dark world in which where he presumably comes from. Either way, the scarecrow warrior god wreaks havoc on all his enemies. The first issue mostly is setting up the universe in which these 2 worlds reside in. But it’s exciting and fresh. 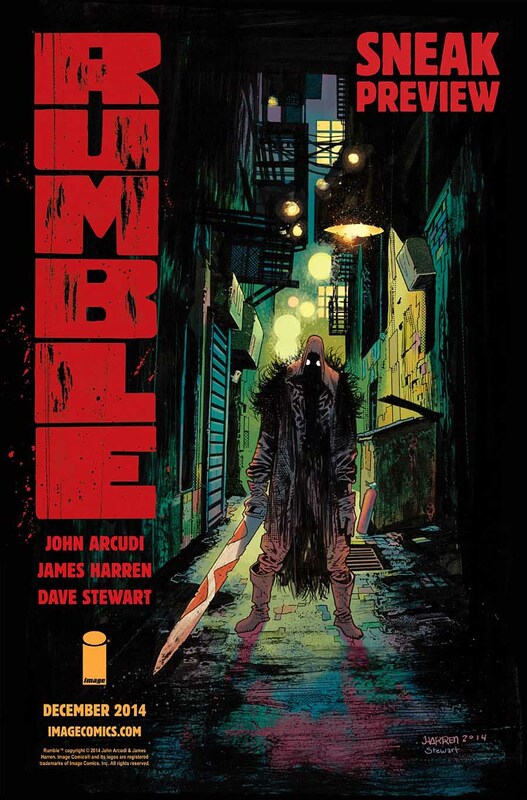 Check it out at your LCS or Image Comics online.